Mayor Bill de Blasio was in Israel over the weekend, where he spoke at the Annual Conference of Mayors, met with Israeli Prime Minister Benjamin Netanyahu, visited recent terror attack victims, and made several other stops, including at the Western Wall and at a school educating a diverse student population. De Blasio spoke against a new wave of anti-Semitism and called for a "broken-windows" approach to combatting hate. De Blasio is flying back to New York Sunday evening, he has no public events scheduled Monday. Coming up this week, the 'new' Bill de Blasio will continue to show, with the mayor set to hold a joint press event with his predecessor, Michael Bloomberg, on Wednesday. De Blasio and Bloomberg have appeared together several times since de Blasio came into office, but have not held a joint event, as they will for the planting of the millionth tree in the "Million Trees NYC" program launched by Bloomberg in 2007. On Monday, starting at 8:30 a.m., the City Council Progressive Caucus and allies are holding a conference to discuss progressive public policies and legislative priorities aimed at inequality and improving communities. Keynote will be given by City Council Speaker Melissa Mark-Viverito, with panel discussions on defending workers' rights, expanding and modernizing democracy, moving toward a greener city, and community safety and empowerment. At 8:30 a.m. Monday, Black Live Matter / Fight for $15: A New Social Movement, a discussion on the convergence of the two movements and the chances of them sowing the seeds “for a broader social and economic justice movement” - featuring Alicia Garza of Black Lives Matter and Domestic Workers Alliance; Jelani Cobb, Journalist & Professor at UConn; Hillman Judge; and Kendall Fells, SEIU / Fight For $15. On Monday morning’s The Brian Lehrer Show on WNYC, City Council Speaker Melissa Mark-Viverito will appear in one segment, discussing several topics, and Queens state Senator Michael Gianaris will appear in another to discuss his bail elimination proposal. At 10 a.m. the Committee on Immigration will hold a joint oversight meeting with the Committee on Courts and Legal Services to evaluate Attorney Compliances with Padilla vs. Kentucky and court obstacles for immigrants in Criminal and Summons Courts. At 1 p.m. the Committee on Civil Rights will meet to hear several new bills related to protecting against discrimination; clarifying that any “person providing goods, services or accommodations” as stated in the Human Rights Law also includes government bodies; forbid any accommodation provider from discriminating based on income source; and make it unlawful for anyone who provides housing to refuse it to a person based the perception that the person is a victim of domestic abuse or violence. On Monday at 1:30 p.m. in Niagra Falls, Attorney General Eric Schneiderman "will discuss steps his office is taking with local officials to combat the use of designer drugs." At 5:30 p.m., New York City Council Speaker Melissa Mark-Viverito, together with the Black, Latino and Asian Caucus of the Council will host a Hispanic Heritage Month Celebration. Also at 5:30 p.m. Monday, Queens Borough President Melinda Katz will hold a Borough Board meeting to hear details from the Department of City Planning (DCP) on the “Zoning for Quality and Affordability” and “Mandatory Inclusionary Housing” proposed zoning text amendments. At 6:30 p.m., Sanctuary for Families’ 13th Annual Above & Beyond Pro Bono Achievement Awards & Benefit will be honoring Rosemonde Pierre-Louis, Senior Advisor on Gender Equity and former Commissioner of the Mayor’s Office to Combat Domestic Violence, and others. On Monday evening, Speaker Mark-Viverito will attend "the Little Sisters of the Assumption Family Health Services Gala." Mark Treyger (District 47, Brooklyn) 6 p.m.
Steve Levin (District 33, Brooklyn) 6:30 p.m.
On Tuesday at 9 a.m., on the third anniversary of Hurricane Sandy, the Center for New York City Affairs at Milano School of International Affairs will hold a panel titled Hurricane Sandy +3: Building Resilient Neighborhoods. Conversation will focus on the state of the post-storm infrastructure in the areas where the storm hit hardest. The panel will include Daniel A. Zarrilli, director of the Mayor’s Office of Recovery and Resiliency; Joel Towers, executive dean, Parsons School of Design at the New School; Klaus Jacob, special research scientist at the Lamont-Doherty Earth Observatory; Onleilove Alston, executive director of Faith in New York; Hugh Hogan, executive director of the North Star Fund;Shermane Margaret Stewart-Lester, lay leader at St. Mary Star of the Sea Church in Far Rockaway. At 9:30 a.m. Tuesday Queens Borough President Melinda Katz will hold a Borough Cabinet Meeting. At 9:30 a.m. the Subcommittee on Zoning and Franchises will meet to discuss land use applications. At 1 p.m. the Subcommittee on Planning, Dispositions and Concessions will meet to discuss land use applications. On Tuesday, Public Advocate Letitia James chairs COPIC Commission meeting at Borough of Manhattan Community College (stream: http://livestream.com/BMCCMedia/events/4439178) at 10 a.m. Then, at 11:15, she is a panelist at "NASP's "The State of WMBE's Doing Business in NYS: From the Legislative Perspective" and at 6 p.m. she hosts "Staten Island Clergy Council Education Forum." At 11:15 a.m. Monday near Stuyvesant Town, Mayor de Blasio and "local elected officials and tenant leaders from Stuyvesant Town-Peter Cooper Village will hold a media availability" about the imminent sale of the property. On Tuesday at 1:15 p.m. from the 25th Police Precinct at 120 East 119th Street, "Mayor de Blasio – alongside Speaker Melissa Mark-Viverito and Police Commissioner Bill Bratton – will sign Intro. 917-A, criminalizing the manufacture, possession with intent to sell, and sale of synthetic cannabinoids and synthetic phenethylamines; Intro. 897, allowing the City to apply public nuisance regulations to violations of the new criminal provision barring the sale of K2; and Intro. 885-A, allowing the city to revoke, suspend or refuse to renew a cigarette dealer license due to the sale of synthetic drugs or imitation synthetic drugs...After, the Mayor will appear live on Power 105.1 with Angie Martinez to discuss the K-2 legislation." At 4 p.m. Mark-Viverito will host a press conference "to celebrate $1.2 Million in funding for STARS Afterschool Initiative with Finance Committee Chair Julissa Ferreras-Copeland at P.S. 50 on 100th Street in Manhattan. Then, at 8 p.m., Mark-Viverito will host "#SheWillBe Twitter Party to Discuss the City Council's First In The Nation Young Women's Initiative...Join the conversation on Twitter by using the hashtag #SheWillBe." At 5:30 p.m. Tuesday Community Voices Heard will hold a rally titled “March on the Mayor: Stop Privatization, Start Funding NYCHA.” The demonstration will demand a stop to increasing privatization and an increase in funding for the New York City Housing Authority by $2 billion starting this year. At 6 p.m. the Brooklyn Historical Society will host Life After Surveillance in Bay Ridge’s Muslim Community, a discussion about the post-9/11 surveillance in Bay Ridge and how this surveillance sowed seeds of distrust in the neighbourhood. Panelists include moderator Jarrett Murphy, Executive Editor of City Limits; Linda Sarsour, Executive Director of the Arab American Association of New York; Moustafa Bayoumi; award-winning writer, and Professor of English at Brooklyn College, City University of New York; and Dr. Ahmad Jaber, an OB/GYN at the Lutheran Medical Center in Bay Ridge and a Muslim religious educator. Tuesday "evening, the Mayor and First Lady Chirlane McCray will host the Gracie Gala Dinner," according to de Blasio's public schedule. The Gracie Mansion Conservancy will hold an invitation only fundraiser to celebrate the grand re-opening of Gracie Mansion after recent repairs. The fundraiser will feature the mansion’s new art installation, Windows on the City: Looking Out at Gracie’s New York, curated with help of the Museum of the City of New York, the New York Historical Society, Brooklyn College, Brooklyn Museum, and the Metropolitan Museum of Art. At 7 p.m. Tuesday, Governor Cuomo will attend "the Nassau County Democratic Committee Annual Fall Dinner." Jimmy Van Bramer (District 26, Queens) 6 p.m.
Eric Ulrich (District 32, Queens) 7 p.m.
On Wednesday in the Bronx: Mayor de Blasio and his predecessor, former Mayor Michael Bloomberg, will meet to plant the millionth tree in the Million Trees NYC program, a Bloomberg initiative begun in 2007. On Wednesday at 8:30 a.m. Comptroller Scott Stringer will hold a “Queens Hearing for Business Owners and Entrepreneurs.” The event is the next installment of the Comptroller’s “Red Tape Commision Hearings” dedicated to listening to ideas and suggestion that would make it easier for entrepreneurs and business owners to grow their businesses, while partnering with the government. The event will bring together Borough President Melinda Katz; Queens Chamber of Commerce; Queens Economic Development Corporation; the Queens Tribune; and co-chairs of the Red Tape Commission Jessica Lappin and Michael Lambert. At 6 p.m. Wednesday, Harry Siegel of The New York Daily News and Heather Mac Donald of the Manhattan Institute will try to answer the question, “Is The NYPD Doing Its Job?” The discussion will be moderated by social critic Kay S. Hymowitz, author of Manning Up: How the Rise of Women Has Turned Men into Boys, and will explore the new tracking system aimed at reducing police brutality and assess Commissioner Bratton’s effort to implement the program. At 6:30 p.m. Wednesday, City Council Members Ydanis Rodriguez and Mark Levine will host the event "Jewish Poverty in New York City" along with a group of civic organizations including YM & YWHA of Washington Heights and Inwood, the Russian-speaking Community Council of Manhattan and the Bronx, Jews for Racial and Economic Justice, the Fort Tyron Jewish Center, the Jewish Community Council of Washington Heights-Inwood, the Hebrew Tabernacle, and The Workmen’s Circle. Also at 6:30 p.m., City & State NY will be host its 2015 New York City Rising Stars: 40 Under 40 celebration. The list features stars in government, advocacy, labor, and consulting. At 7 p.m. the Department of Education, the School Construction Authority, elected officials, and parents will meet for “Let’s Talk About Overcrowding.” The event will focus on the issue of overcrowding in public schools in Cobble Hill and Caroll Gardens, in addition to addressing several other school-related issues. State Senator Daniel Squadron, State Assemblymember Jo Anne Simon, State Senator Velmanette Montgomery, City Councilmember Brad Lander, City Councilmember Steve Levin, and others will participate. At 3:30 Wednesday in Manhattan, Families for Excellent Schools is planning to hold another rally to support charter schools, this time featuring charter school teachers, about 1,000 of whom are expected to rally. 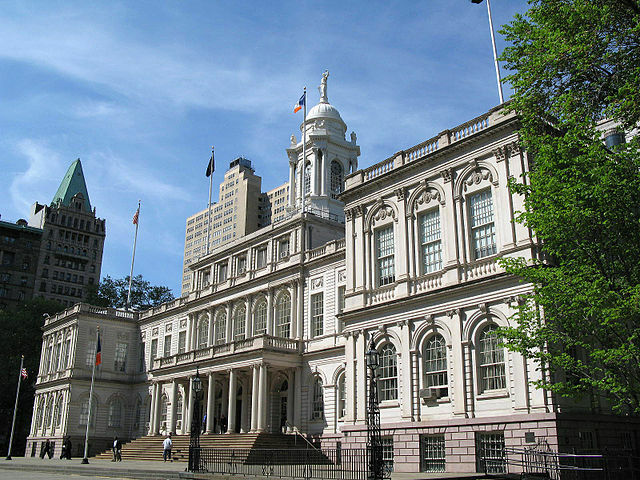 Wednesday’s City Council Participatory Budgeting event is via CM Mark Levine (District 7, Manhattan) 6 p.m.
Thursday at 10:30 a.m. Borough President Melinda Katz will hold a Land Use Hearing. At 10 a.m. the Committee on Finance will meet to discuss the extension of credit against the unincorporated business tax and the general corporation tax. At 10 a.m. the Committee on Transportation will meet to hear several bills related to the TLC and commuter vans..
At 11 a.m. the Committee on Land Use will meet, with agenda TBA. At 1 p.m. the Committee on Mental Health, Developmental Disability, Alcoholism, Substance Abuse and Disability Services will hold a hearing on new accessibility-related bills. At 1 p.m. the Committee on Recovery and Resiliency will meet for oversight on coastal storm resiliency in the city two year after the SIRR report. At 1 p.m. the Committee on Economic Development will meet on bills that would require the NYCEDC to submit annual job creation reports to community planning boards; require SBS to collect data on gender and racial diversity among “executive level employees” in city contractor companies. At 6:30 p.m. Thursday, Public Agenda will hold “Restoring Opportunity: The Role of Education,” an event to discuss how the education policies of both New York State and the entire nation need to change in order for the country to truly offer the opportunities promised by the American Dream. Brian Lehrer, from WNYC, will moderate the discussion, interviewing Andie Puriefoy, the former president of the Public Education Network and Alison Kadlec, an expert of higher education reform. At 7 p.m. BRIC will host the panel discussion “Breaking Down the Walls: #BHeard on Immigration, a Community Town Hall.” The talk will be moderated by Brian Vines and feature City Council Member Carlos Menchaca; Linda Sarsour, Arab American Association; Adrian Carasquillo, immigration reporter for Buzzfeed news; Alina Das, NYU professor; and Shena Elrington, director of immigrant rights and racial justice at the Center for Popular Democracy. At their annual fall dinner Thursday, Empire State Pride Agenda will award Governor Cuomo with the 25th anniversary Silver Torch Award for “his extraordinary efforts to make marriage equality a reality in New York — paving the way for the freedom to marry nationwide” and “his more recent commitment to ending the AIDS epidemic in New York.” Along with Cuomo, other speakers will be Senators Chuck Schumer and Kirsten Gillibrand, City Council Speaker Melissa Mark-Viverito; City Public Advocate Letitia James; Pride Agenda Board Co-Chairs Norman C. Simon and Melissa Sklarz; and Pride Agenda Executive Director Nathan Schaefer. Citizens Union, the good government group, will hold its 2015 Annual Awards Dinner Thursday evening. 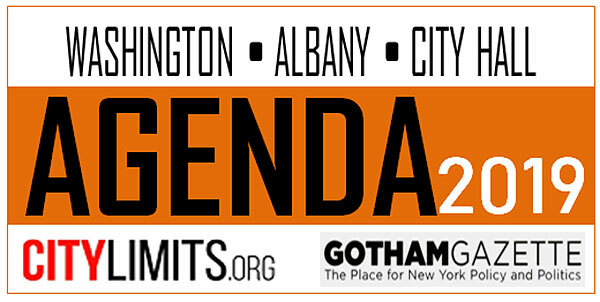 New York Attorney General Eric Schneiderman will give featured remarks. Citizens Union honorees include Mylan L. Denerstein (Public Service Award), Adam Flatto (Business Leadership Award), Haeda B. Mihaltses (Public Service Award), and Stephen P. Younger (Civic Leadership Award). CM Helen Rosenthal (District 6, Manhattan) 6 p.m.
CM Paul Vallone (District 19, Queens) 7 p.m.
At the City Council on Friday: at 10 a.m. the Committee on Higher Education will convene for oversight on college testing access. 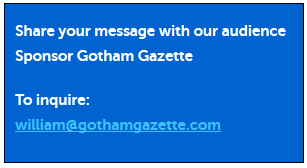 "The next public meeting of the New York City Campaign Finance Board will be held on Friday, October 23 at 10:00 AM." Friday’s City Council Participatory Budgeting event is via CM Carlos Menchaca (District 38, Brooklyn) 6 p.m.
At noon Saturday, BetaNYC will hold an event to improve CityGram.NYC, a website which allows New York City residents to subscribe to open government data based on their geographic location and areas of interest. Saturday’s City Council Participatory Budgeting event is via CM Carlos Menchaca (District 38, Brooklyn), 2 p.m.
On Sunday, the de Blasio family will open their doors to the public at a Gracie Mansion Open House. A ticket giveaway will take place on the event website. In celebration of the Mansion’s 35th anniversary, the open house will feature 49 new works as part of the “Windows on the City: Looking Out at Gracie’s New York” show.